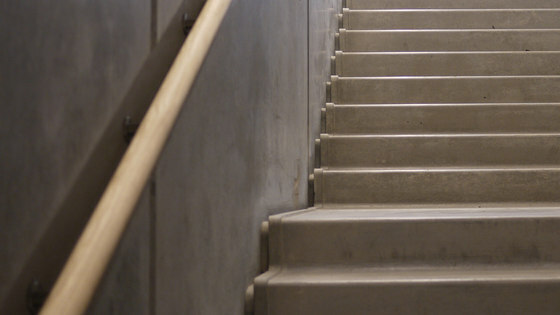 NOBIS is latin for ”for us”. 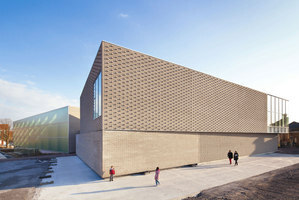 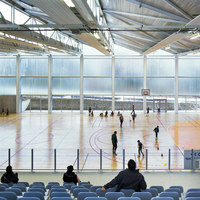 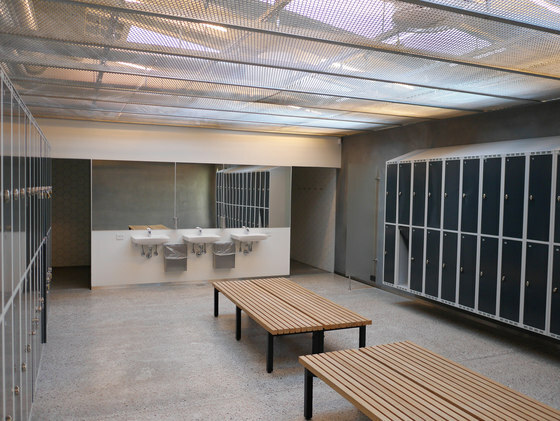 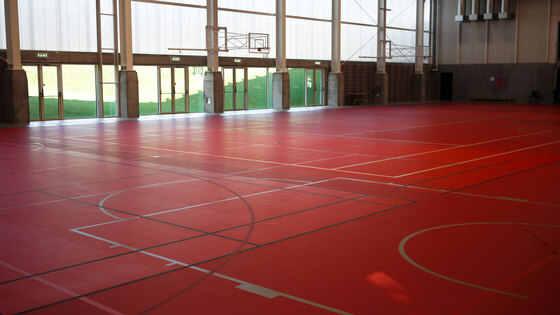 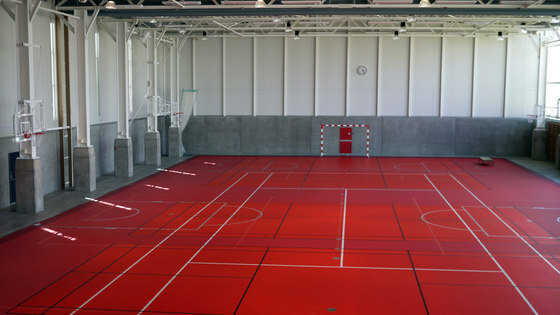 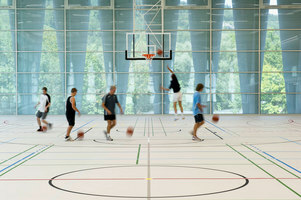 The project was to construct an indoor sports arena in an already existing urban environment. 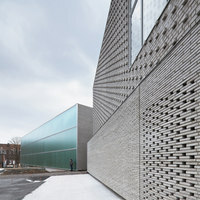 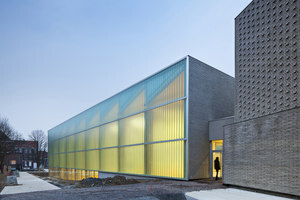 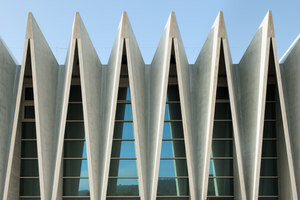 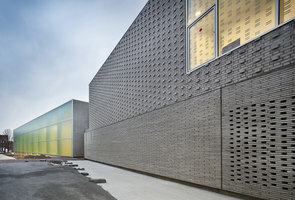 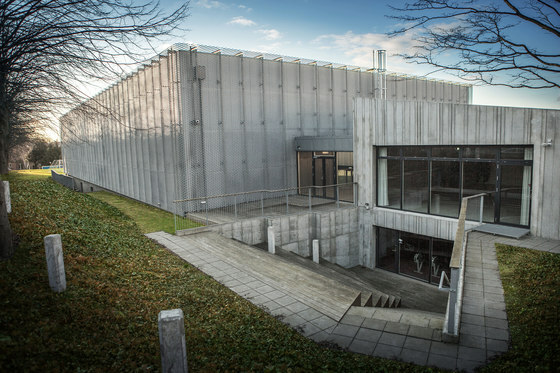 The challenge was to find the right architectural connection and identity between the existing structures and the new building. 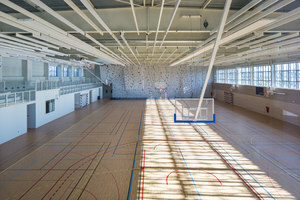 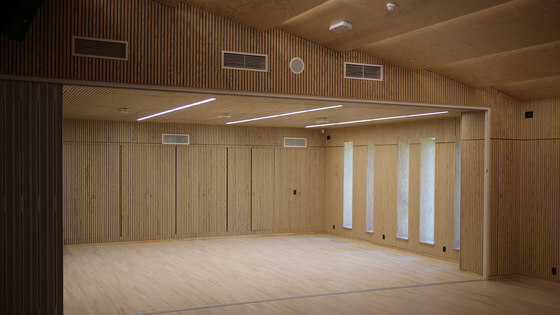 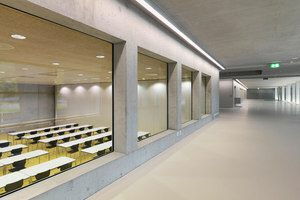 The functions of the new building, its dance hall, gym and lecture halls were different from that of the existing buildings and finding the right balance became a key priority. 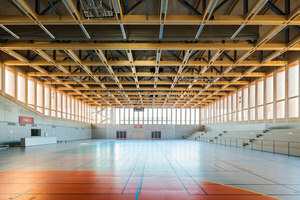 The new indoor arena is pressed into the landscape and solidly grounded in order to ensure that the structure is kept on the same horizontal level as the existing structures. 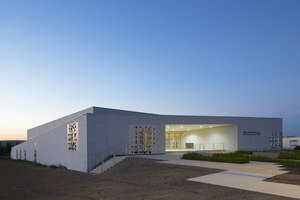 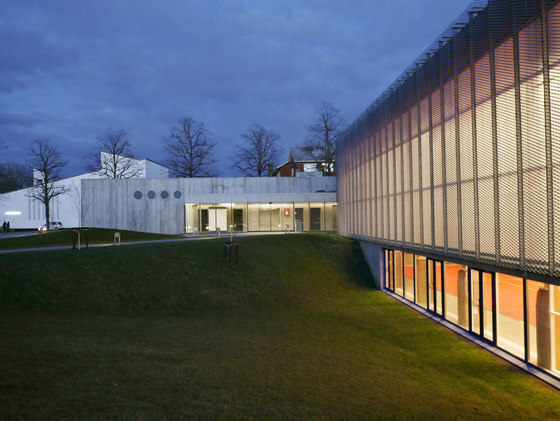 Pockets of light and air have been constructed to underline the different levels and dimensions of the surrounding landscape and the creation of layers in the façade to the Northwest is constructed in order to connect the exterior with the interior of the building. 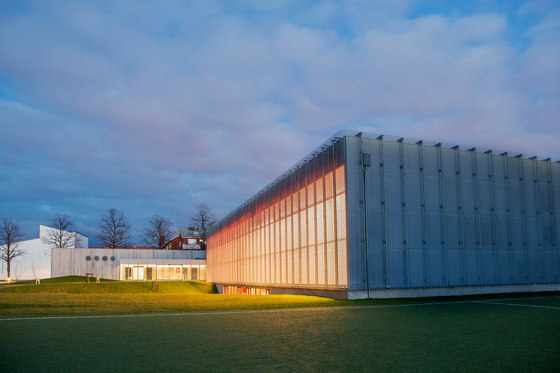 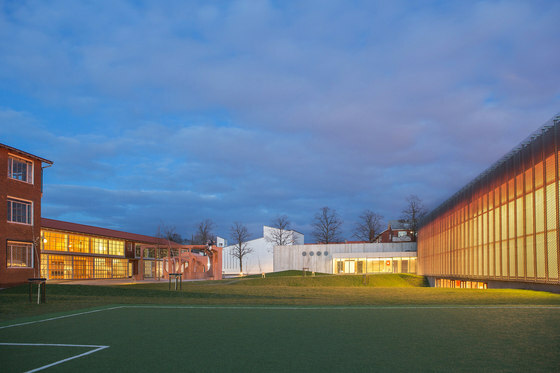 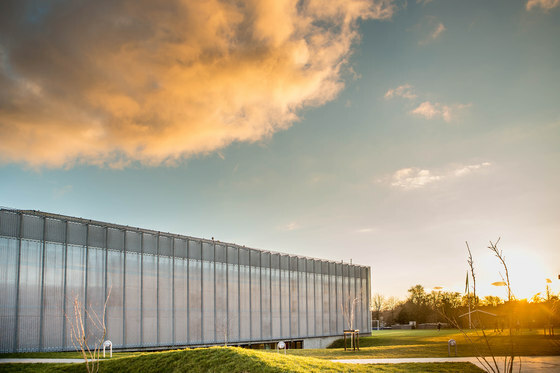 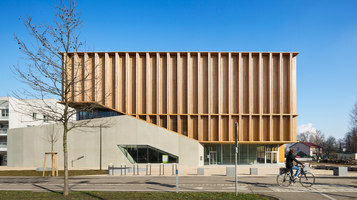 NOBIS’ façade reveals an inner secret, an inner structure and a layered structure to form an arena that serve as the surrounding structure for the game on the pitch. 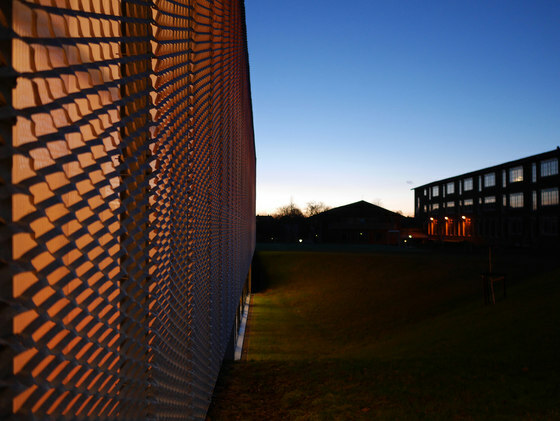 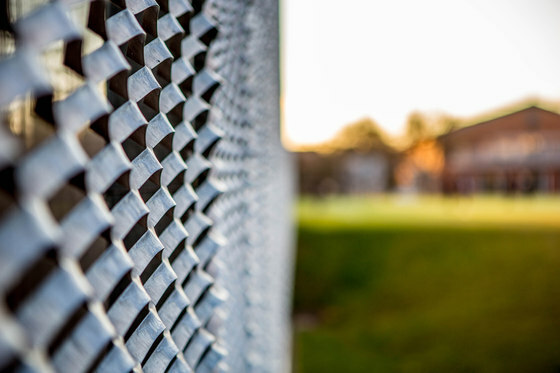 The layered construction of the faced is made up of ‘translucent polycarbons and expanded metal that has a shading effect. 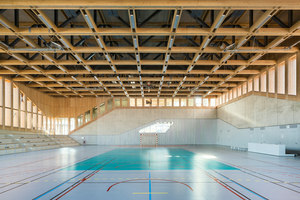 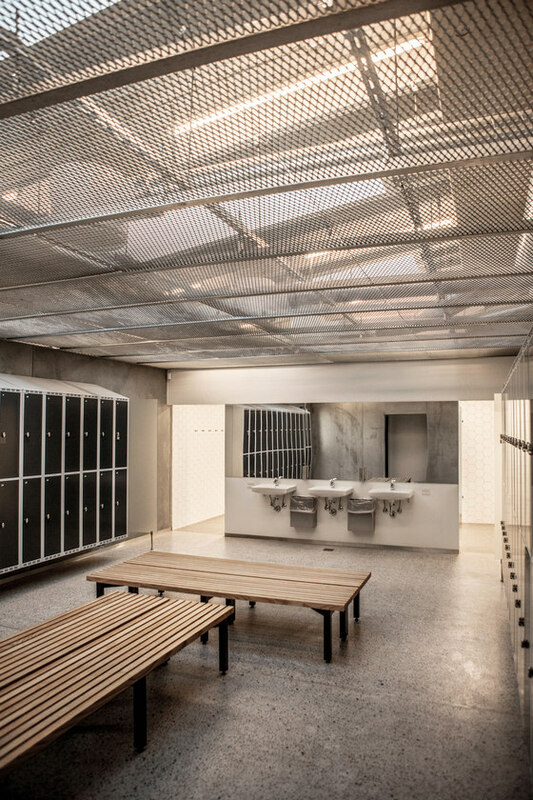 The choice of materials ensures that the light in the arena is always changing and somewhat diffuse. 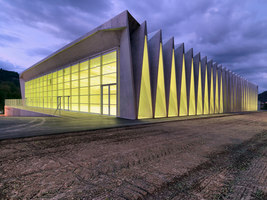 The arena has a uniformed façade that leaves a different visual impression depending on the amount of light both inside and outside. 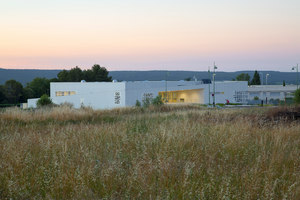 On the backside of the Northwest end of the façade the columns and beams are revealed. 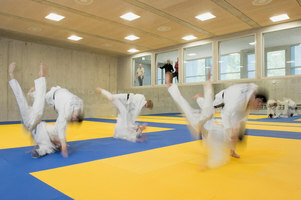 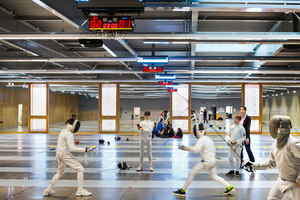 The Arena is a place made for ‘combat’ – for physical challenges and heated matches – set within raw and bare columns.